-AND THEN HE GOES, "BUT THE EARTH'S FLAT!" CAN YOU BELIEVE THAT!? 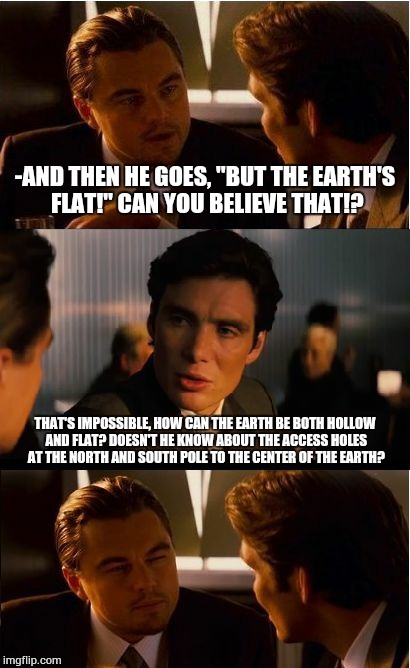 THAT'S IMPOSSIBLE, HOW CAN THE EARTH BE BOTH HOLLOW AND FLAT? 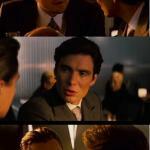 DOESN'T HE KNOW ABOUT THE ACCESS HOLES AT THE NORTH AND SOUTH POLE TO THE CENTER OF THE EARTH?